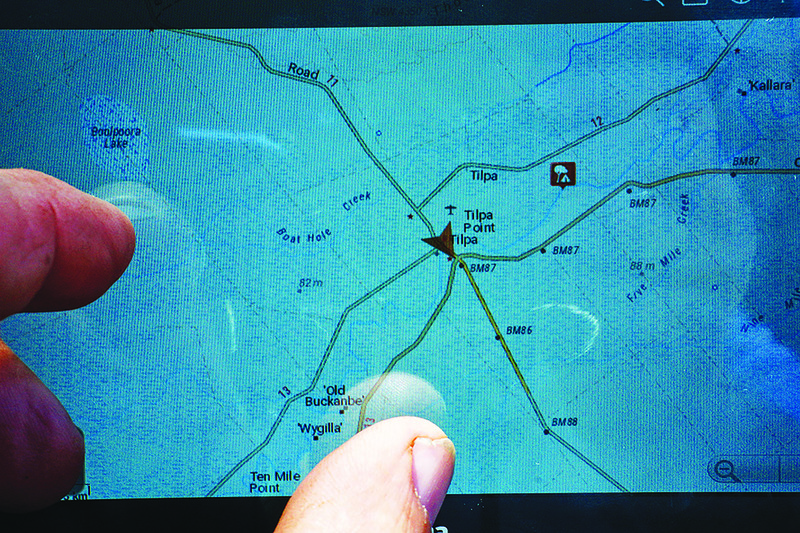 Navigating, whether around town or out in the scrub, has never been easier. You don’t even need anything special, just an iPhone or an iPad, and you can find out where you are, plan your journey, track yourself, record your route, and share it on your favourite social media site. It’s almost a bit too much for this old crock who grew up with paper maps, a compass, a set of dividers, and an opisometer (yeah, you can Google that). Back in the early 70s when I was doing my first cross-country 4WD trip, we relied on the 1:250,000 topographic maps that the Army Survey Corp and the Division of National Mapping (DNM) had finally finished producing just a couple of years earlier. Apart from the maps, we had a good military compass (divided into 6400 mils instead of the normal 360 degrees), and military-taught navigation skills and techniques that we adapted from walking through the bush to vehicle-based travel. At that time we were heading north-west across untracked country from the NSW and SA border, looking for a dry salt pan rimmed by low sheer cliffs that the palaeontologists we were ferrying around wanted to have a look at for fossils. We never got to our chosen destination, ’cause one of the two Landies busted an axle, so we missed our chance to prove how good our navigation skills were... or weren’t! Still, even what we had in the early 1970s was a whole lot better than the means at the disposal of the first European explorers. Latitude, that is, how far south or north of the equator you are, was pretty well figured out by the Greeks, the Phoenicians, the Arabs, and the Polynesians many hundreds of years ago. Still, that wasn’t quite enough to fix your spot on the planet. 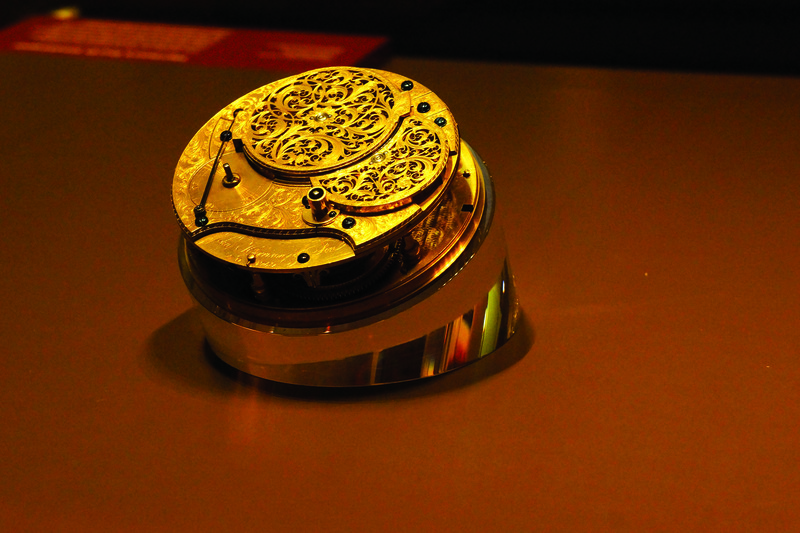 It was only in the eighteenth century that John Harrison, a carpenter, cracked the mystery of how to figure out longitude with his Harrison Clock No. 4. This is probably the most important clock of all time. Today it is housed (with his other timepieces) in the Royal Observatory, Greenwich, UK, which is fittingly the location internationally accepted as the Prime Meridian. The story is graphically and enjoyably told in Dava Sobel’s best-selling book Longitude. Within 10 years of Harrison’s invention, all British ships were carrying a clock or chronometer (often more than one) and harbours were installed with timeball towers, like the one near the entrance to Port Melbourne at today’s Point Gellibrand Coastal Heritage Park. When the ball was dropped at exactly 1pm, ship captains would set their clocks by it. However, the great distances involved and the need to mechanically figure out local time, corrected to the Prime Meridian, remained extremely difficult and complex. The difficulty was partly solved when humankind created technology to transmit radio signals and time beeps around the world almost instantly via cross-country and undersea cable – a move which was a revolution in timekeeping and navigation. Ongoing changes and developments in technology are in fact why SA’s eastern border isn’t straight, despite the fact it was all intended to follow the 141st meridian of longitude. The SA-Vic border was surveyed in 1847, but the SA-NSW border was surveyed in 1868; within those 21 years, humankind had developed more accurate equipment. 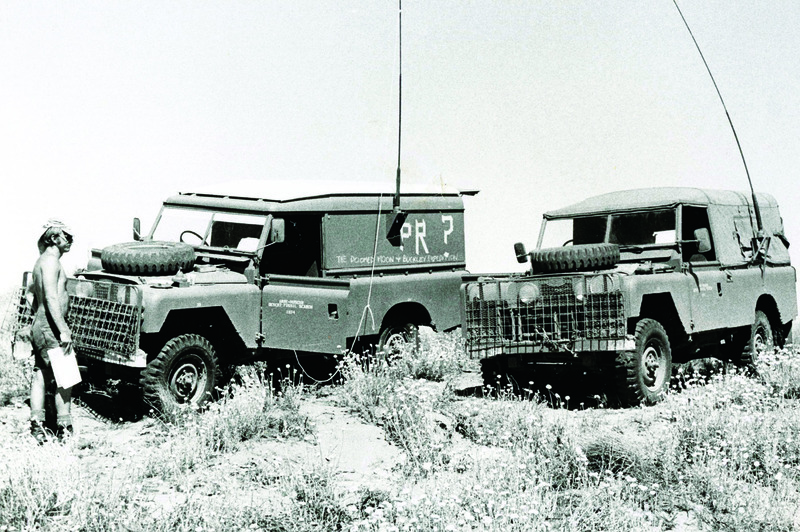 In 1988 we were in the northern Simpson trying to follow Cecil Madigan’s route across the desert. We had a map maker from the DNM, 1:100,000 dieline maps where every sandhill was marked, and one of the newfangled devices, specially delivered for our trip, called a Magellan GPS 1000. However, because the southern hemisphere didn’t have its full complement of satellites back then, we could only get a partial GPS fix around midnight most nights when the three or four satellites all lined up. All it really did was verify where we thought we were... and it wasn’t anywhere near as accurate as we take for granted today when we get a fix with a dozen or so satellites, keeping any errors to a minimum. Counting dunes and good ol’ compass navigation brought us through the untracked desert to Madigan’s Camp 11 and his blazed tree at Camp 16, the only two sites marked (by the DNM) back in those days. 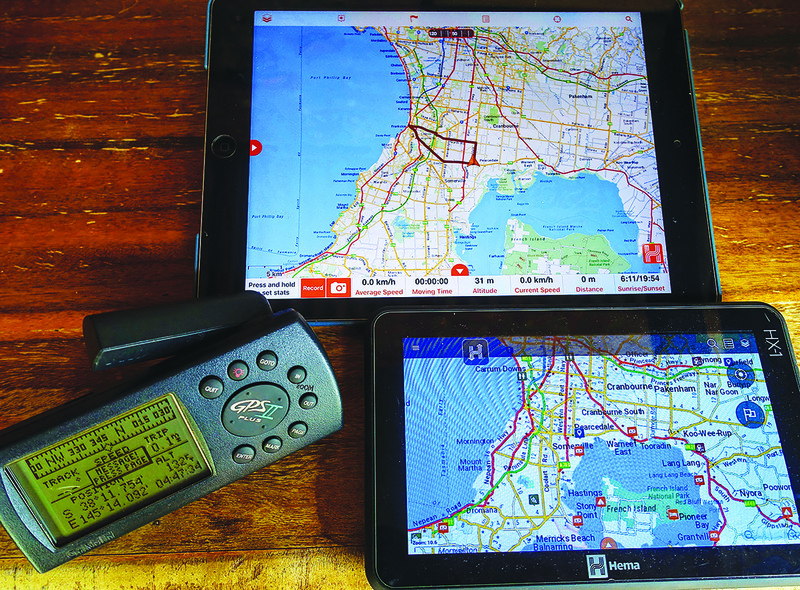 Over the years we’ve come a long way, pretty quickly, to the point where I have a Hema HX-1 Navigator and an iPad, both running GPS moving map technology. 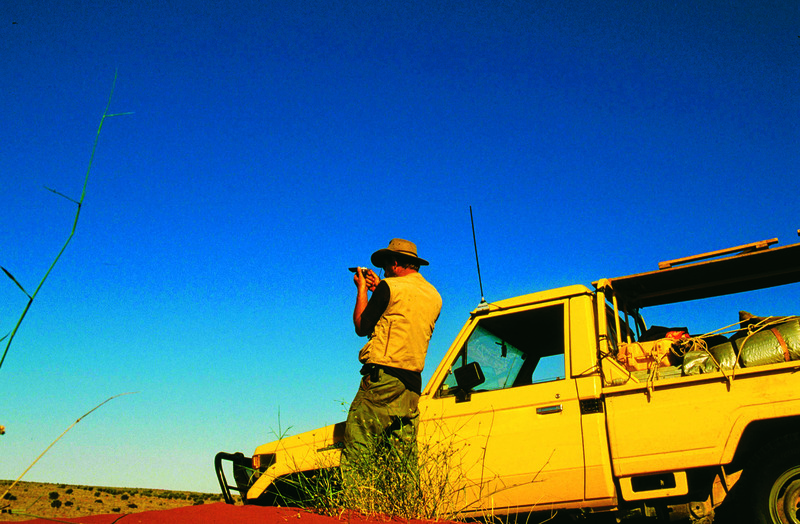 I know exactly where I am on the planet – down to a street intersection, or a track junction, or a sandhill, or a dry creek bed – better than the best trained and most dedicated surveyor of 50 years ago. Still, I love paper maps for planning a trip and for that overall view you cannot get from the small screen of a GPS or an iPad. And in the end, no matter how good the technology, sometimes the devices can’t tell you how to get from where you are to where you want to be. That’s when ‘real’ navigational skills and map reading come in handy – something I fear is becoming less common these days!